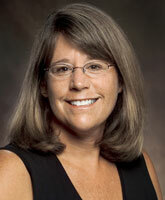 Marti Kyger is the Assistant Dean for Divisional Advising and Enrollment Management for the Farmer School of Business. Marti has been affiliated with Miami University and the Farmer School since 1987. She provides oversight and management of undergraduate student recruitment and admissions. She also coordinates the advising process for undergraduate business students and manages the scheduling/registration system for the Farmer School. In addition, she serves as an advocate for Farmer School students and programs. Marti is a third generation Miami graduate and has prior work experience in human resources management.